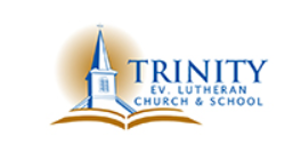 I have been a member of Trinity Lutheran Church since 1986. I grew up in the very small town of Scarville, Iowa. I graduated from Bethany Lutheran College in Mankato, MN with an Associate of Arts degree. Then, I attended the University of Northern Iowa where I earned my bachelor’s degree in elementary education. Fun fact: I spent almost a year in Boston being a nanny (and learning the Boston accent)! Then, I received a call to teach at Trinity! I got married at Trinity to Bob Loduha. We have been blessed with four children. Sarah (now a Luebke) is an RN at Children’s Hospital; Miranda graduated from MLC and is fulfilling her first call to teach in Manhattan, Kansas; Jason graduated from KMLHS and is working in Hartford; and Dylan is a junior at KML. When I have free time, I enjoy reading, scrapbooking, board games with family, and going to Dylan’s ball games.